What is the glycemic index and its importance? The human body is composed of a number of elements that allow it to ensure its proper functioning. Because of this, to be healthy, the human being must have healthy lifestyle habits. This requires a good diet that not only protects against undesirable diseases, but also keeps its line. The glycemic index, which is still very little known to men, is in fact a valuable clue to controlling the impact of each food consumed on the body. If it is the athletes, the sportsmen and the people who start a diet that knows him best, everyone has an interest in knowing the glycemic index in order to better follow his daily diet. What is the glycemic index itself? What is its importance and how to control it? The glycemic index is often noted as GI. In fact, it is a tool that makes it possible to compare foods with their constituent of carbohydrates. As a result, the glycemic index detects the food’s ability to increase blood sugar levels. Indeed, the higher the food has a high glucose, the higher its speed to increase the sugar level, is also high. This ability of foods to raise their glucose in the blood is actually a blood sugar. To determine whether a food can or can not cause blood sugar, we usually use an average. Thus, the glycemic index of foods is compared to that of glucose which is 100. 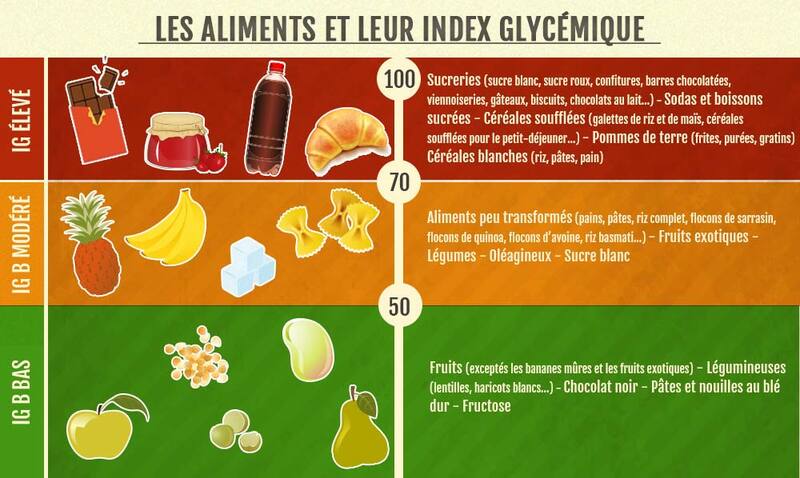 The classification of these foods according to their glycemic index is done in three branches. We distinguish foods with a strong glycemic index, those with a medium GI and finally good foods that have a low GI. For a food to be classified as low GI, its GI must be less than 55. For an average GI, it is recommended that this be between 55 and 69. Beyond 70, this food is considered to have a strong ability to increase blood sugar levels. The glycemic index has a very important role in the body. It allows to know the foods which are likely to increase the rate of sugar in the blood and thus to limit their consumption. In fact, too high blood glucose can cause more serious diseases such as obesity, diabetes. It is the GI that allows to know the glycemic capacity of food. This in turn allows you to lead healthier lifestyle choices by choosing low GI foods. As a result, the glycemic index helps control weight, prevent disease, and prevent cardiovascular problems. Indeed, most people think that only fat can increase the weight abnormally. The classification according to the GI makes it possible to identify all the foods likely to cause disorders and to avoid them as much as possible.